The Speaker is a powered, wide-coverage, two-way loudspeaker that covers the complete audio spectrum, distortion-free power. It pushes everything from pounding bass to a chirpy high-end, all in one amplified cabinet. Plus an TF card slot and USB port, so you can play your favorite music right on the device. Adjust the sound to your own specifications using the bass and treble controls. 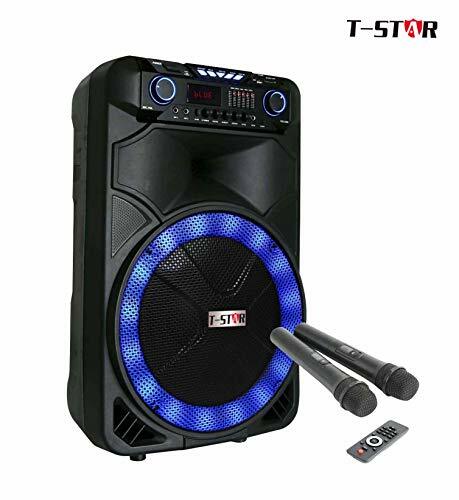 Ideal for bands and DJs as a main PA or instrument amplification system, so you can rock the audience anywhere, at the club or a party. And you’ll always be ready for the next gig – these speakers are compact enough to be truly portable and come with a handle for easy carrying. You’ll also get crystal-clear acoustics in your home as a monitor.